Welcome to Dhaka to Brahmanbaria train schedule and ticket price in 2019. 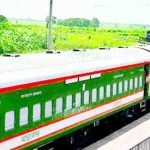 In this article, we will try to provide you with the latest and updated information about Dhaka to Brahmanbaria all train services with Bangladesh Railway ticket price. Brahmanbaria railway station is a hub for Dhaka, Chittagong and Sylhet route, where all trains are passing through this station. So it is one of the busiest railway stations in Bangladesh. 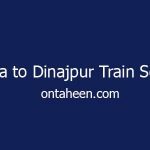 If you are traveling from Dhaka to Brahmanbaria by train and looking forward to knowing the information about Dhaka to Brahmanbaria train schedule than you are in right place. Parabat express(train no- 709 & 710) is a popular train service which is runs from Dhaka to Sylhet. 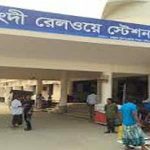 It’s one of the stoppage stations is Brahmanbaria. It’s departure from Dhaka railway station at 06:35 and reaches in Brahmanbaria railway station at 08:30. On the other hand, It’s departure from Brahmanbaria railway station at 19:44 and arrive in Dhaka railway station at 21:55. It’s off day is Tuesday. Mahanagar Provati(train no- 704 & 705) runs from Dhaka to Chittagong. It’s departure time from Dhaka railway station at 07:45 and arrival time in Brahmanbaria railway station at 09:45 and it’s departure from Brahmanbaria railway station at 11:40 and reaches in Dhaka railway station at 01:05. Sunday is the off day from Brahmanbaria to Dhaka. 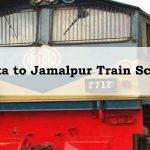 Joyantika express(train no- 717 & 718) departure from Dhaka railway station at 12:00 and reaches in Brahmanbaria station at 14:12 and It leave Brahmanbaria station at 13:39 and reaches Dhaka railway station at 16:00. It’s off day is Thursday. Upokul Express(train no- 711 & 712) is another popular intercity train service which runs from Dhaka to Brahmanbaria route. It departs from Dhaka railway station at 15:20 and arrives in Brahmanbaria station at 17:30. It’s off day from Dhaka to Brahmanbaria is Tuesday and Brahmanbaria to Dhaka is Wednesday. 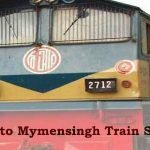 Mahanagar Godhuli (train no- 703 &722) train runs from Dhaka to Chittagong rail route. It also stops at the Brahamanbaria station It’s start journey from Brahmanbaria railway station at 07:05 and reaches in Dhaka railway station at 09:25. There is no off day for Mahanagar Godhuli train. Turan Express(train no- 741 & 742) is a popular train service which runs between Dhaka-Chittagong route. 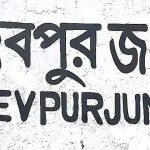 It also stops in Brahmanbaria rail station. It departs from Dhaka railway station at 23:30 and arrives in Brahmanbaria railway station at 01:40. It runs every day in a week. Dhaka Express(train no- 11) is a mail train which runs Dhaka to Brahmanbaria every day. It starts the journey from Brahmanbaria railway station at 01:30 and reaches Dhaka railway station at 05:55. Dhaka Mail train(train no- 2) departure from Brahmanbaria railway station at 03:55 and arrives in Dhaka railway station at 06:55. The train has no off day. Dhaka Express(train no- 35) is a mail train which runs Dhaka to Brahmanbaria every day. It starts the journey from Brahmanbaria railway station at 12:30 and reaches Dhaka railway station at 15:15. Comill Commuter (train no- 89) departure from Brahmanbaria railway station at 08:22 and arrives in Dhaka railway station at 12:50. It’s weekly off day is Tuesday. 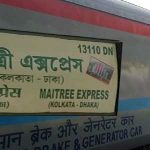 Chattala Express runs Dhaka to Chittagong train route crossing Brahmanbaria Railway station which available six days in a week except for Tuesday. It starts from Dhaka at 13:00 and reaches Brahmanbaria at 15:20 and starts from Chittagong it departure Brahmanbaria at 13:13 and reaches Dhaka at 15:35. Karnafuli Express (train no- 3) is a mail train which runs Dhaka to Chittagong every day. It starts the journey from Brahmanbaria railway station at 15:50 and reaches Dhaka railway station at 19:45. 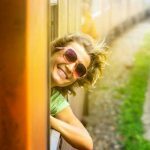 Ticket Price depends on train service category. 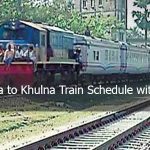 Let’s Check the Dhaka to Brahmanbaria Train Ticket Price. Here are the train video for your live experience.